A clear slowdown: Executives clearly believe that there has been a slowdown in Iran business. When asked to evaluate the pace of trade and investment in Iran, 83 percent of senior managers at multinational companies indicate that companies “are moving slower than they could” to engage in the Iranian market. Moreover, 51 percent of executives report that their company’s investment plans were adversely affected by Trump’s October de-certification. The fear of snapback looms large given the reluctance with which waivers are being issued and the tone of today's statements will likely exacerbate these concerns. External, not internal, barriers: Iran is a difficult place to do business, but senior executives currently see the primary barriers to their commercial plans as external, not internal challenges. When asked what is the “primary obstacle facing your market rollout in Iran,” 32 percent of survey respondents indicate sanctions compliance, while 20 percent point to “managing political and reputational risk.” By comparison, 21 percent point to “access to financing.” These are all external barriers. Domestic commercial and operational issues such as finding a local partner or structuring a local entity are far less frequently identified as major barriers, or as priorities for redress. Stubborn confidence: Despite all the frustrations, companies remain a source of stubborn optimism and valuable pragmatism on Iran. A majority of executives (63 percent) believe that the Iran Deal is likely to even if the United States pulls out. A staggering 91 percent of executives still believe their company can be commercially successful in Iran. Policymakers, particularly in Europe, need to engage business leaders and support solutions to increase trade and investment. By doing so they can draw upon this increasingly rare confidence to help protect the nuclear deal. The report makes several recommendations about how to do this. The story of Iran’s post-sanctions economic recovery is so far one of great expectations and frustrating delays. 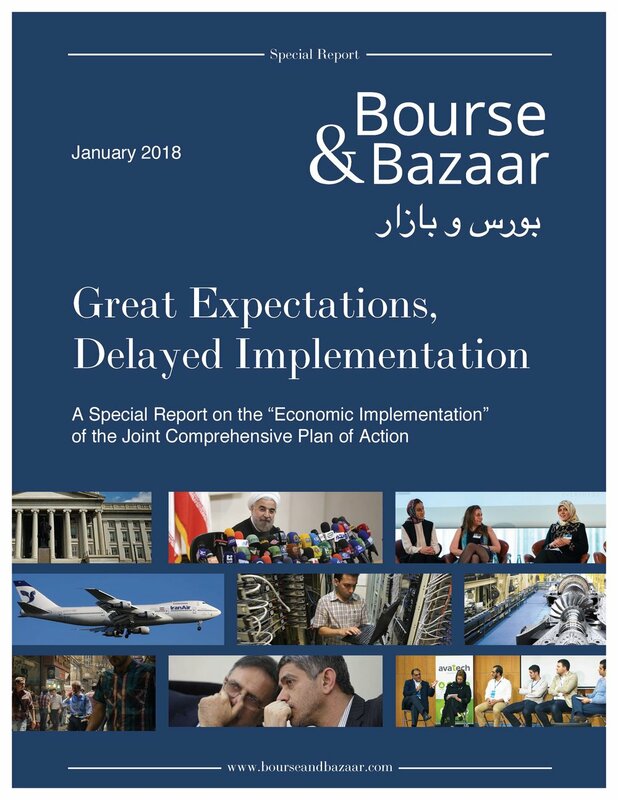 On the two-year anniversary of the implementation of the Joint Comprehensive Plan of Action, this report examines the “economic implementation” of the nuclear deal. Multinational companies remain committed to the Iranian market, but the much-needed flow of external finance, including foreign direct investment, has yet to materialize. The provision of external finance has been hampered primarily by external factors, and not challenges endemic to Iran’s business environment. Drawing on a unique survey commissioned by International Crisis Group, including over sixty senior executives, this report details how the risk of sanctions snapback and rising political tension, largely amplified by the rhetoric of the Trump administration, have caused material delays in the Iran investment plans of some of the world’s largest companies. Executives clearly believe that there has been a slowdown in Iran business. When asked to evaluate the pace of trade and investment in Iran, 83 percent of senior managers at multinational companies indicate that companies “are moving slower than they could” to engage in the Iranian market. While Trump has this week opted to reissue the sanctions waivers that keep the United States in the nuclear deal, the act of decertification alone has already compounded delays—51 percent of executives report that their company’s investment plans were adversely affected by Trump’s October announcement. Against this backdrop, the nuclear deal is sliding into “zombie state.” Neither totally dead, nor totally alive, the deal exists in an ambiguous position that stymies most commercial actors. To address chronic uncertainty, European stakeholders ought to spearhead a technical, programmatic dialogue on the obstacles preventing external finance flows to Iran. In doing so, business leaders will be better positioned to bring their stubborn optimism and valuable pragmatism to bear in support of the quid-pro-quo that underpins the nuclear deal. This rare optimism should not be taken for granted—a staggering 91 percent of executives surveyed for this report still believe that their companies can be commercially successful in Iran. Given the recent protests in the country, which have made the political imperatives of job creation and economic reform absolutely clear, policymakers should extend every effort to support the success of these companies, whose investments were expected by Iranians as a central outcome of the nuclear deal.